Join us on November 13 and help us raise efforts for the children and youth in our care! Every second Tuesday, of every other month, Anthony’s will donate 20% of tracked dine-in and carry out sales! Open Monday through Sunday from 11:30 AM to 10:00 PM. Palm Beach Gardens location only. 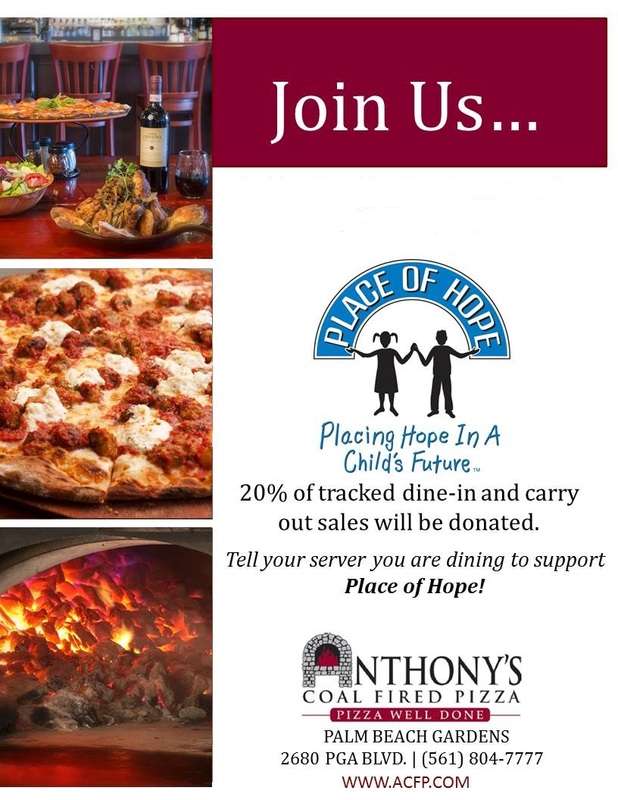 Patrons must tell their server they are dining to support Place of Hope for donation to count! PGA Plaza, 2680 PGA Blvd.